Most of us have told a little white lie; even if we are caught, there are usually no consequences. That is not the case if you are involved in a lawsuit. Lying under oath is a crime called perjury, and it can result in jail time. Lying or providing knowingly false or misleading information can lead to other consequences as well. You might be subject to monetary fines or lose your professional license. It could also result in your lawsuit being dismissed. When a lie has been told, the key piece of information the court is going to be interested in is the state of mind behind the lie or misrepresentation. In order to be guilty of perjury, you must have intentionally lied. Having an honest lapse of memory, or only remembering a specific detail after something jogs your memory is not likely to get you into trouble. Telling a lie or purposely leaving out key information in order to mislead is more serious, but even that does not guarantee you are going to end up in jail. Even if your case has not proceeded to trial, lying about your injury (or leaving out information you should have disclosed) can constitute insurance fraud. This can also lead to criminal charges. Fraudulent claims can result in loss of insurance coverage and being liable to the insurance company for any monetary awards or costs of investigation. If you realize that you lied, or didn’t tell the whole truth, in a current or past legal action the best thing to do is to contact your lawyer. They can help you figure out what, if any, corrective action needs to be taken. 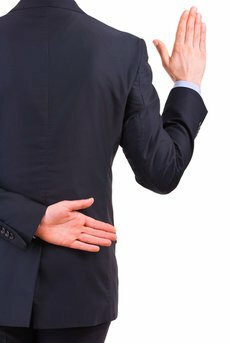 Although lying is a part of life for most people, the truth, the whole truth, and nothing but the truth is the only thing you should be telling any time you are under oath or talking with your own lawyer in private.